Test insulation resistance and voltages from 50V to 1000V. Operation includes smart hold and stop on the voltmeter function. Leads resistance is compensated with the auto-null key. 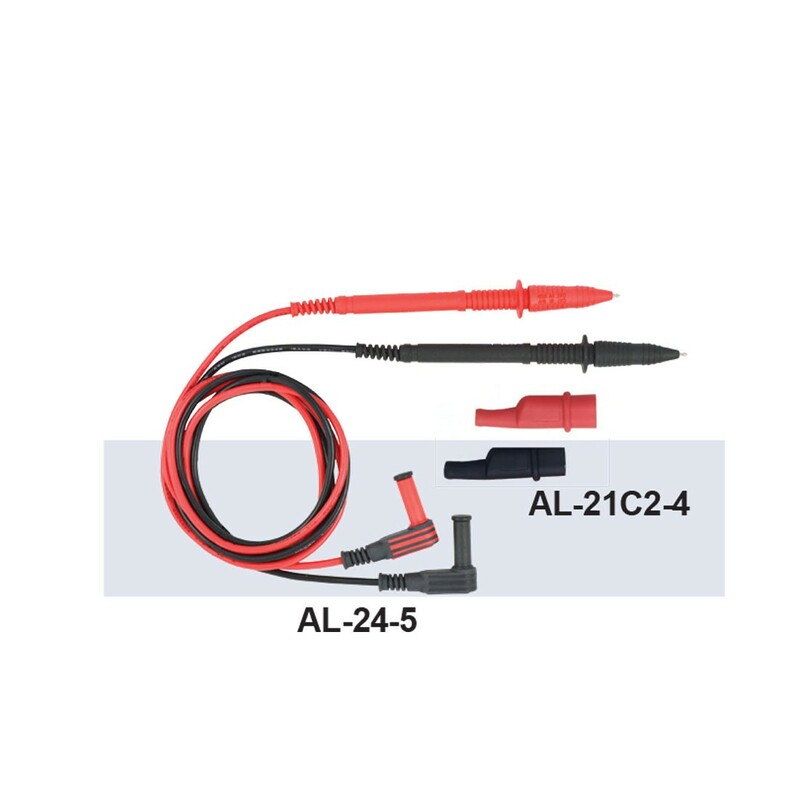 Test Voltage Ranges: 50V (0.1MΩ-400MΩ), 100V (0.1MΩ-800MΩ), 125V (0.1MΩ-1GΩ), 250V (0.2MΩ-2GΩ), 500V (0.2MΩ-4GΩ), 1000V (0.2MΩ-8GΩ). Accuracy: 0.1MΩ-4GΩ (±3% Reading), 4MΩ-8GΩ (±5% Reading). 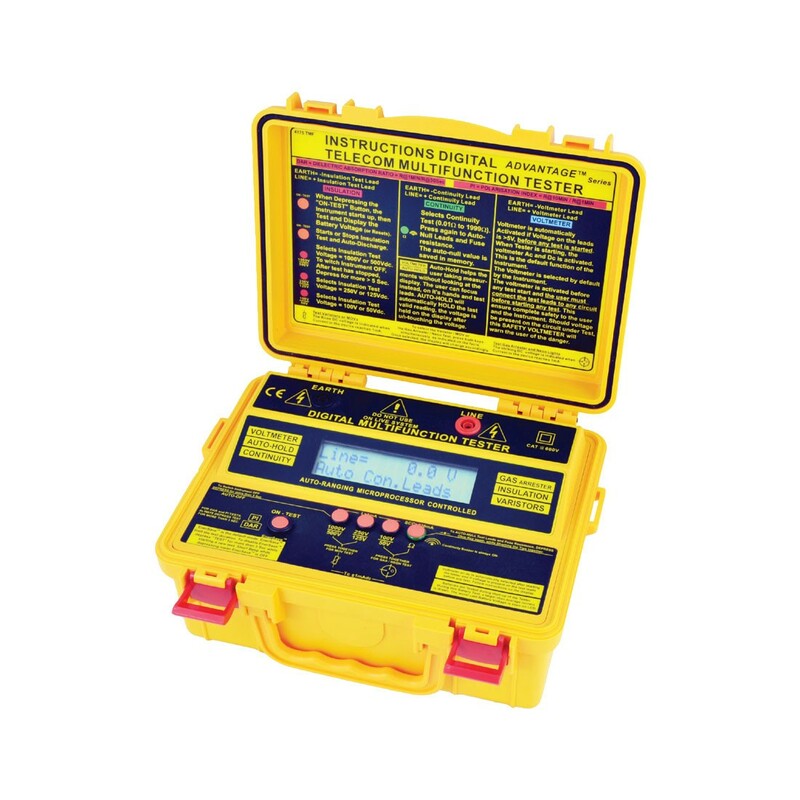 Voltmeter: 0-950VDC, 0-700VAC (±1.5% Reading). Continuity: 0.01-100Ω (±1% Reading), 100-300Ω (±1.5% Reading), 300-1999Ω (±2% Reading). Included: manual, test leads, shoulder belt, and batteries.